Leeds United's Ezgjan Alioski caused confusion amongst supporters on Saturday when he reacted angrily to being kissed by teammate Pontus Jansson. Marcelo Bielsa's men saw off Sheffield Wednesday at Elland Road, Jack Harrison scoring the only goal of the game in the second-half. During the game, Jansson was seen planting a kiss on his Macedonian teammate's cheek, prompting him to lash out at the Swedish centre-half. Many Leeds supporters were confused by the incident. While some suggested he was angry at being kissed, others seemed to think this was a reaction to something Jansson had said to him. Why did Alioski hit Jansson and look so angry I don’t get it? 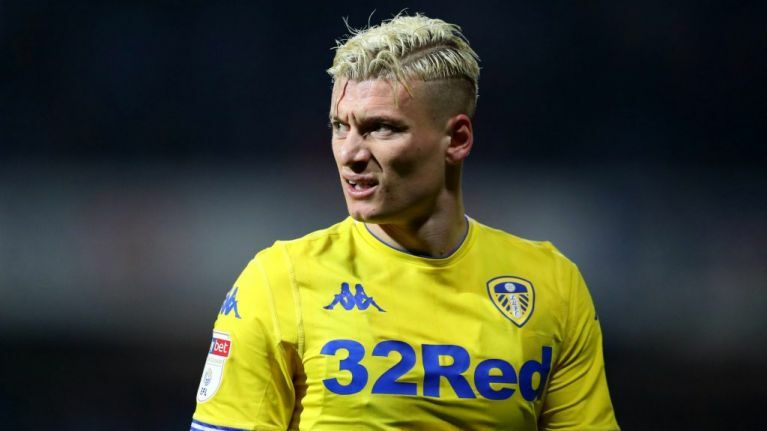 Despite the incident, Leeds' win - coupled with ten-man Sheffield United conceding a last-gasp equaliser to Millwall - saw them move back into second place in the Championship. Norwich City are still three points ahead of them and, with a game in hand, appear set to be confirmed as champions. Leeds are now in a good position to clinch the other automatic promotion spot and seal a return to the top flight after a 15-year absence.